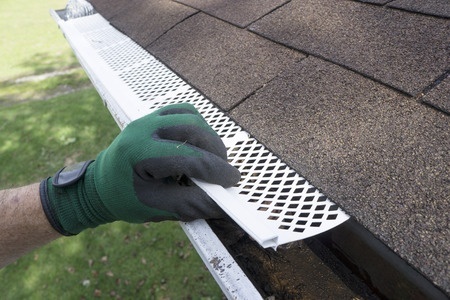 For the best gutter guard installation in Beaverton, MI call Beaverton Gutter Pros today. In need of gutter guards but don’t know who to call? Beaverton Gutter Pros is the only name you need to know. Located in Beaverton, Michigan, they are trusted professionals in the wrold of gutters and no one can do the job better or faster than they can. Having gutter guards installed should always be left to the professionals. Not having proper training in this field could lead to problems down the road. Beaverton Gutter Pros have been in this business for a long time now and can provide the best gutter guard installations in all of Beaverton. ​Worried about what the cost gutter guards will end up being? One of our trusted and professional gutter experts can come to any residential or commercial site to scope out the work. One the work has been scoped, we can sit down with any property owner and discuss our recommendations and pricing. We are sure to be able to work with just about any budget, and our quotes always include the costs of all work that will be done. While property owners may be concerned with the cost involved, gutter guards will pay for themselves by saving in maintenance and cleaning costs of gutters. Properly installed gutter guards will keep water flowing smoothly while keeping debris out of gutters that will eventually clog the gutters. Many people think these guards are easy to install and try to do the work themselves. The truth is, many times gutter guards need to be installed under shingles and if they are not installed properly, there could be roof damage which could lead to a leaking roof. Always trust professionals, like Beaverton Gutter Pros to install these money saving guards and save problems from happening in the future. There are many gutter guard installation instructional videos out there, like on Youtube, so many people are left to wonder why they should not install them without a professional company. The answer is, paying for a professional installation by Beaverton Gutter Pros will always save you money in the end. Installing gutters, and extras such as gutter guards, varies by each property. No two properties are identical and following the instructions from a how to video online will only have you installing them on a property that is not identical to yours. Knowing the precise angle to install gutters based on roof pitch is essential. Gutter guards also need to be installed in a precise manner based on the gutters and what type of shingles are located on a roof. All of this makes it necessary for professionals. Improperly installed gutters or gutter guards will leave problems in the future that many property owners do not know how to fix. Fixing problems down the road will be much more costly than hiring a professional from the start.